Get familiar with the variety of job interview scenarios. Just like all jobs are not created equal, all interviews are different as well. Some follow the old-age formula of an in-person interview, while others get a little more creative. As an interviewee, you need to be prepared for everything. Get up to speed on the various types of interviews so that you can be ready when the time comes – in whatever shape, form or environment. Telephone Interview Telephone interviews typically serve as an introductory interview before you meet a hiring manager or supervisor in person. It’s essentially your first impression – and it needs to be a good one. Make sure you are punctual with your phone call, answering on time when they call. Take the call from an area that has good cell coverage, and speak clearly and succinctly when answering questions. It’s also a good rule of thumb to make sure your voicemail is ready for your job search. Set up a professional-sounding message for missed calls and ensure that your voice mailbox is empty. Virtual Interview A virtual interview is one that takes place over video – like Skype or FaceTime. 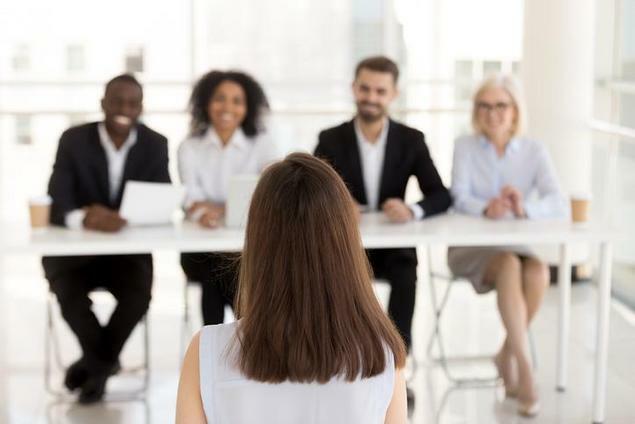 This type of interview is typically required when an applicant can’t come in and sit down face-to-face – for instance, a college student interviewing for a summer job back home. First things first: create or update your screen name to something professional, like your name. Don’t hand out the screen name that was your high school nickname. Also, practice with your technology. Make sure everything is set up correctly, and have a friend or family member video conference you. Take the calls from a place that has a secure, clear Wi-Fi connection. Designate an area to take your video call. Make sure your backdrop is plain, and not distracting. Use body language that conveys your interest and professionalism. Sit up, look straight at the camera and use your hands as you’re answering questions. Turn off any background noise, like the television or your cell phone. And of course, dress professionally – even if you’re not meeting anyone in person, you will still be judged by your appearance. Open Interviews Open interviews are held by companies that are trying to fill multiple positions at the same time. They usually offer a block of time in which applicants can arrive to fill out applications and participate in interviews. To prepare, make sure your morning or afternoon is completely clear as you will likely spend time waiting for an interview. Bring your resume as well as a list of references that can be contacted about your character, work ethic and reliability. Finally, dress professionally, depending on the type of job and company. One-on-One Interviews This scenario is what you think of when you hear “job interview.” A one-on-one interview takes place between an applicant and hiring manager or supervisor and is typically conducted at the place of employment. For this interview, dress professionally, use your manners and listen carefully to everything that’s said to you. Bring extra copies of your resume as well as a list of references the company can contact after your interview. Before the interview, research and think about the type of salary you’re expecting in the event it comes up during the interview. Also, jot down your availability so that the hiring manager can see how you would fit into their schedule. Group Interviews Finally, group interviews can be conducted in a variety of ways. Either there is one applicant and multiple interviewers or one interviewer for multiple applicants. In either scenario, the most important thing you can do is remain calm and clear. These types of interviews can be overwhelming and intimidating at first, but they are ultimately the most interesting and illuminating. If you happen to be one applicant with many interviewers, this setup allows different people in different roles to judge how well you’d fit on the team. In the event you’re paired with multiple applicants, you may be given a task to complete with one another in order to see how each of you works within a team – thus determining which role in the company would best suit you. Any kind of interview can be nerve-wracking, but with the right look and level of preparedness, you can dominate in every setting.